YURTCAMP DEVON values the privacy and security of the information you share with us. This Privacy Statement applies to information collected through YURTCAMP DEVON (the “website”). This Statement describes how YURTCAMP DEVON collects, uses, shares, protects, or otherwise processes your personal information. • name, email addresses, home addresses, telephone numbers. YURTCAMP DEVON does not hold or store credit/debit card details. Log information may include web requests, Internet Protocol address, operating system, browser type, browser language, date and time of your request, and cookies that may uniquely identify your browser. YURTCAMP DEVON uses this information to enhance the functionality of the website and to make your access more convenient, secure, and efficient.YURTCAMP DEVON also uses information gathered from logs and cookies to monitor website performance; improve website design, functionality, and security; and assemble web analytics and activity trends. YURTCAMP DEVON retains such information for as long as reasonably required for business purposes or as reasonably required to comply with our legal obligations. 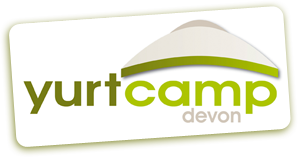 YURTCAMP DEVON has links within our website to other sites we feel you may have an interest in, or sites we recommend for services. This privacy notice does not cover those links and those sites are not governed by this Privacy Notice. If you have questions about how those sites use your data, please check their Privacy Notice. • other reasons allow it or other laws require it. When we are required or permitted to disclose information, we will not disclose more information than is necessary to fulfil the disclosure purpose. YURTCAMP DEVON may disclose aggregate or statistical information to our business partners, for public relations purposes, or other purposes. YURTCAMP DEVON combines technical and physical safeguards with employee policies and procedures to protect your information. We work to protect your personal information during transmission by using Secure Sockets Layer software, which encrypts the information that you provide online at our website. We will use commercially reasonable efforts to protect your information. We will also continue to assess new technology for protecting information and upgrade our information security systems when appropriate. Further, we permit only authorised YURTCAMP DEVON employees to access any personal information. If an employee misuses personal information, we may take disciplinary action, up to and including termination of employment. If any third party individual or organisation misuses personal information, we will take action, up to and including termination of any agreement between YURTCAMP DEVON and that individual or organisation. YURTCAMP DEVON processes personal information only for the purposes it was originally collected and in accordance with this Privacy Statement. YURTCAMP DEVON takes commercially reasonable steps to ensure that the personal data is relevant, reliable for its intended use, accurate, complete, and current for the purposes for which it is used. YURTCAMP DEVON retains information for as long as reasonably required for business purposes or as reasonably required to comply with our legal obligations.